Home / Sports / Asia / World #Baseball Classic is almost here! World #Baseball Classic is almost here! The World Baseball Classic (WBC) is an international baseball tournament sanctioned from 2006 to 2013 by the International Baseball Federation (IBAF) and after 2013 by the World Baseball Softball Confederation (WBSC). It was proposed to the IBAF by Major League Baseball (MLB), the Major League Baseball Players Association (MLBPA), and other professional baseball leagues and their players associations around the world. It is the main baseball tournament sanctioned by the WBSC, which grants to the winner the title of “World Champion”. It previously coexisted with Olympic Baseball (until 2008) and the Baseball World Cup (until 2011) as IBAF–sanctioned tournaments, but baseball has not been on the Olympic program since 2008, after it was voted out by the International Olympic Committee in 2005. The final men’s Baseball World Cup was held in 2011, and was discontinued to streamline the international calendar. The 2013 Classic, the third edition of the event, was won by the Dominican Republic in an all-Caribbean World Baseball Classic Final. The tournament is the first of its kind to have the National Teams of IBAF’s member federations feature professional players from the major leagues around the world including Major League Baseball. In addition to providing a format for the best baseball players in the world to compete against one another while representing their home countries, the World Baseball Classic was created in order to further promote the game around the globe. Team Canada won’t have an easy path to the final round of the 2017 World Baseball Classic, sharing Pool C with the defending champion Dominican Republic, the United States and Colombia at Marlins Park in Miami. As it’s already shown in previous WBCs, however, Canada can compete with any nation on any given night. Those who take the Canadians lightly will do so at their own peril. There’s still plenty of potential names out there for Canada who haven’t confirmed their participation, most notably infielders Freddie Freeman of the Braves and Brett Lawrie of the White Sox, as well as rising young pitchers James Paxton of the Mariners and Jameson Taillon of the Pirates. Orr hasn’t played in the Major Leagues since 2013, but the utilityman is a legend north of the border after scoring the game-winning run in extra innings against Team USA to win the 2015 Pan American Games final in Toronto. He’ll join Carlos Beltran and Yadier Molina among the players who are representing their country for the fourth time at the Classic. Reds slugger Joey Votto, a Toronto-area native who played for Canada in 2009 and 2013, announced last month that he was declining his invitation to play for the team, opting to focus on getting ready for the 2017 regular season. Canada burst onto the international scene in the inaugural 2006 Classic, when it upset the U.S., 8-6, and won two of its three opening-round games before missing the Round 2 cut on a tiebreaker. 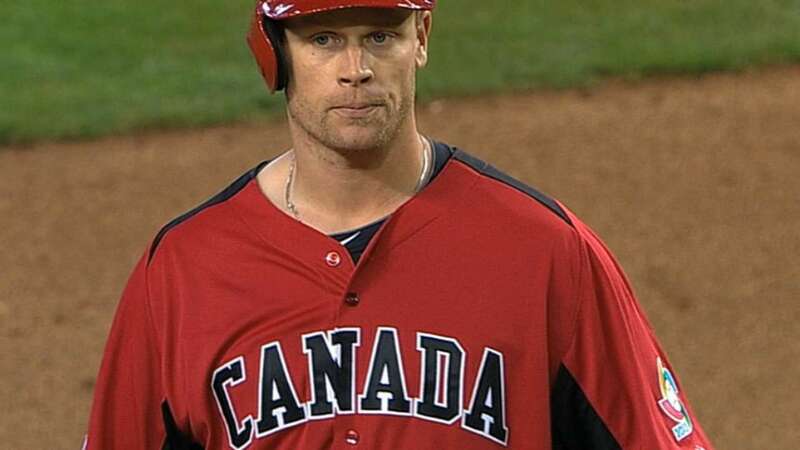 The Canadians lost to Team USA by just one run in 2009, and held a 3-2 lead over the U.S. in the sixth inning in 2013 before their southern neighbor stormed back with a late-game rally. All in all, Canada has been competitive, but it is still looking to punch its first ticket to Round 2. However, as its gold medal at the ’15 Pan-Ams prove, the nation has talent beyond a handful of recognizable Major Leaguers. The Canadians’ biggest asset is clearly their bats. Martin has seen his average decline in recent years, but he’s also coming off back-to-back 20-homer seasons. Morneau is in the twilight of his career, but is still a threat to run into a homer with any swing. Saunders is coming off his first All-Star season. If Freeman joins this lineup, opposing pitchers are in for a long night. Just as it’s no secret Canada can hit, it’s no secret they’ve struggled to keep runs off the board. The Canadians have allowed nearly eight runs per game over the first three installments of this tournament, and they appear to again lack the top-line starter that other Pool C nations (Max Scherzer for Team USA, Jose Quintana for Colombia) will have. Manager Ernie Whitt told MLB.com that he expects Paxton and Pivetta (who went a combined 12-8 with a 3.27 ERA between the Phillies’ Double-A and Triple-A clubs last season) to head the rotation, but even if Taillon joins that duo, it could be a tall task for them to contain the profoundly deep lineups that the Dominican and the U.S. will field. With what we know about the rosters so far, Canada will be a heavy underdog to supplant the Dominican and U.S. clubs and advance to Round 2 for the first time. The Canadians will need to ride their offense and hope for just enough clutch pitching late to surprise people — something they have done sporadically in the past.